​​Raised as a conservative Christian, minister and author Carol Howard Merritt discovered that the traditional religious institutions she grew up in often inflicted great pain and suffering on others. Instead of offering refuge, these institutions have betrayed people’s hearts and souls. Merritt contends that many people leave the church because they have lost trust in the institution, not in God. 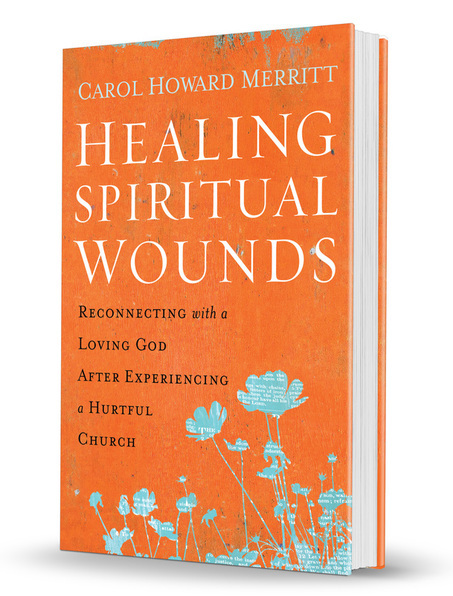 Healing Spiritual Wounds addresses the church’s dichotomous image—as a safe space and as a dangerous place—and provides a way to restore personal faith and connection to God for those who have been hurt or betrayed by established institutions of faith. Merritt lays out a multistage plan for moving from pain to spiritual rebirth, from recovering theological and emotional shards to recovering communal wholeness. Sympathetic, understanding, and deeply positive, Healing Spiritual Wounds offers hope and a way to help them heal and reclaim the spiritual joy that can make them whole again.